Directions Adults and children 12 years and older: massage a liberal amount into the area of pain and soreness three or four times a day, especially before retiring. Children under 12 years of age: consult your doctor. 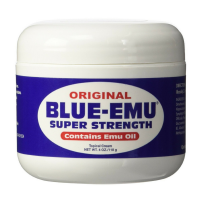 Uses Temporarily relieves minor aches and pains of muscles and joints associated with arthritis, simple backache, lumbago, neuralgia, strains, bruises, and sprains. Deep penetrating for on-target relief fast. Odor-free for relief anytime, anywhere. 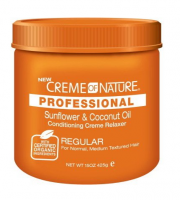 Greaseless and non-irritating for relief no matter what you wear. 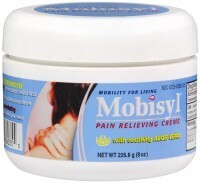 Mobisyl creme combines a powerful pain reliever with soothing aloe in a quick-absorbing formula that penetrates deep to ease painful joints and muscles on the spot. 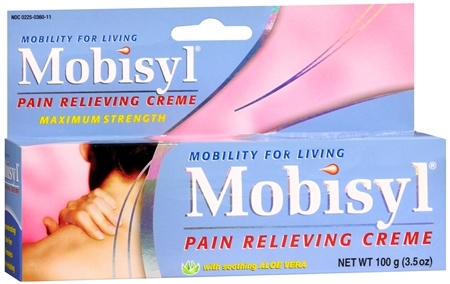 Mobisyl helps restore joint and muscle mobility so you can get back to your life. Warnings For external use only. Use only as directed. 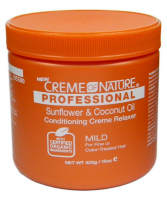 Do not use: on or near the eyes; on broken, damaged, or irritated skin. Stop use and ask a doctor if condition worsens, or if symptoms persist for more than 7 days or clear up and occur again within a few days. If pregnant or breast-feeding, ask a health professional before use. Keep this and all drugs out of reach of children. In case of accidental ingestion, get medical help or contact a poison control center immediately.